There are some advantages to having a credit card as it can be a convenient way of buying goods without using cash. It also gives you access to an interest-free loan if you can pay off the balance before the end of the month. However, if you’re unable to pay off your credit card balance each month, credit card debt can increase at a rapid pace. Credit card debt is one of the most expensive forms of debt. This is because interest rates are generally higher on credit card debt than other debt forms. 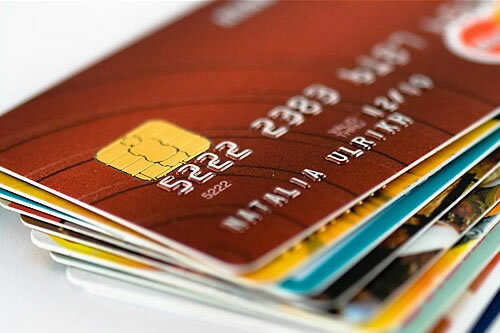 Therefore, consumers need to be extremely aware and guarded of how credit cards are utilised as this, if not controlled, can lead to serious financial implications. So, if you want to pay off your credit card debt, what’s the best way to go about it? The first step in paying off credit card debt is to completely stop using the credit card. The best way to stop using your credit card is to take a pair of scissors, cut the credit card in half and then throw it in the trash. A credit card that is still usable WILL get used and all the payments made to reduce the balance can be nullified in seconds. At the same time, cut back on luxuries and spend money only on essentials. When you do pay for them, use cash or your debit card – this will ensure that whatever you buy is within your means. Remember, you can always re-apply for a credit card in the future, thus destroying the card that is out of control should be seen as a stepping stone. If you do not wish to destroy your credit card, consider putting it away where you will have to go to some effort to get it back. Put is in a safe or ask a trusted family member to keep it for you until the balance has been paid off. Paying the minimum is only effective if you stopped using the card. As you pay the minimum amount you owe each month, not only will your overall balance be reduced, but your minimum repayment will as well. However, if you keep paying a fixed amount per month instead of paying the newly reduced minimum amount, you’ll get rid of your credit card debt more quickly. If step one is followed and you stopped using the credit card, the balance will be reduced much quicker and you will have gotten rid of your credit card debt in no time. Even if you only pay the minimum installment, the balance will reduce with every payment. If one keeps using the card, the balance will never decrease. If you find that you have extra cash in a month, resist the urge to spend it and rather put it towards reducing your credit card balance. Doing this will minimise your debt faster and will save you extra money you are paying towards credit card interest. Remember that in South Africa every payment on a debt is first put toward serving the interest and fees, and then applied to the remaining capital. With this in mind, paying a little extra each month will ensure that more funds are applied to the outstanding capital, reducing your balance faster. With the exception of retirement annuities, consider withdrawing money from an extra savings account to help clear or at least reduce your outstanding credit card debt. Although you won’t have those savings at your disposal after you’ve withdrawn the money, you also won’t be paying extremely high interest on a credit card balance, saving you money in the long run. It is important to note that you should not cut into your emergency savings buffer to repay credit card debt, unless your savings buffer is large enough to support a down payment on the credit card and still be sufficiently large enough to serve you during an emergency situation. If you find that you can’t afford your minimum monthly repayments, it can be hard to get out of debt. Debt review can help you get a handle on your finances so that you meet your financial commitments for all the debt you owe. Depending on your situation, a debt counsellor may recommend a debt management plan or may help you make alternative agreements with your bank, such as making smaller monthly minimum repayments.